Day Timings: 18:00 on the evening before, until approx 16:30 on the last day. RYA Start Yachting is aimed at complete beginners these two days provide a comfortable, relaxed and safe introduction to yacht sailing. The emphasis here is on having a fun time while experiencing this sport in a safe environment. Our patient instructors will take you through the basics of sail handling and steering the boat and you will spend two nights and two days on board one of our well equipped and comfortable cruising yachts. If you enjoy this course you can use it as the first half of a RYA Competent Crew Course and return at a later date. 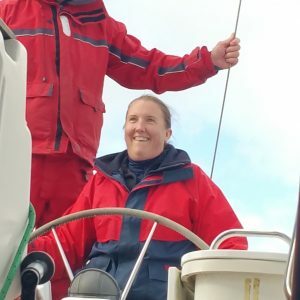 We usually meet on a Friday evening (night before the course), when your instructor will show you around the yacht, give you a safety briefing and you will have a chance to get to know the rest of the crew. Warm Layers, Boots/Old Trainers. Sun cream, Sun Hat, Warm Hat. Sleeping Bag. What will you provide me? Lifejackets, Wet Weather Gear, Food, Drinks, Pillows. What Will Happen During The Course? We will take you through the basics of sail handling and steering the boat and you will spend two nights and two days on board one of our well equipped and comfortable cruising yachts. If you enjoy this course you can use it as the first half of a Competent Crew Course and return at a later date.